Spending its first year at the unique grade II listed Troxy in East London, Secretsundaze promises to kickstart 2012 in style with a killer lineup that includes a secret special guest headlining live yet to be announced. In the Main Room the likes of Levon Vincent (Novel Sound, NYC), one of the biggest names in New York House in recent years, Kyle Hall (Wild Oats/Hyperdub, Detroit), Giles Smith (Secretsundaze, Two Armadillos) and James Priestley (Secretsundaze, Simple, The CAMP) will be on hand to take you into the new year. In Room 2 Man Make Music and Five Easy Pieces (Ft. George Fitzgerald) will be going head to head. Early bird tickets have already been snapped up but standard tickets at £19.50/£22.50/£24.50 each are available. A staple part of every New Year’s Eve celebration is the Good Times NYE party, an event that has proven ever more popular and unmissable year-on-year. In keeping with the legendary venues of past years, Good Times NYE 2011 will be held at the historic Battersea Arts Centre in South London, a Victorian venue that’s iconic as the event it will host. After the first Notting Hill Carnival without Norman’s Route-master bus and inimitable sound in 30 years, clubbers will be glad to see the him in the Main Room will along with The Nextmen and Tom Middleton; 3 heavyweights in blending funk, soul, house, hip hop and much more. In the Chamber of House will be DES (Deep End Soundsystem, Russ Jay, Melvo Baptiste + Norman Jay ‘Special House Set’) and the Rockin Room will see Gaz’s Rockin’ Blues + Guests take to the decks. 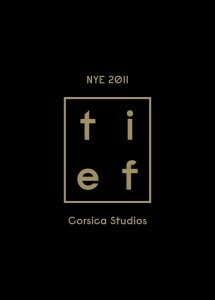 The Tief NYE Party will be held this year at the intimate Corsica Studios in Elephant & Castle and will play host to a substantial lineup of DJ’s including headliners Scuba vs. Scb and Joy Orbison. Both have proven in recent years they’re no strangers to experimenting with anything from techno, dubstep, garage and house to deliver unforgettable sets. Joining them will be Will Saul, Wbeeza, Greymatter, Casino Times, The Pushamann in addition to resident DJs Hesseltime, Mr Solid Gold, Thick as Thieves, Kitsch & Sync, John Malcolm Moore and Oli DAB & Robin. Early bird tickets are all gone and remaining tickets for the event are priced at £20/£25. The 2600-capacity Coronet venue right in the heart of Elephant and Castle is the perfect place for Eastern Electrics to throw what is undoubtedly set to be one of the highlights of New Year’s Eve 2011. 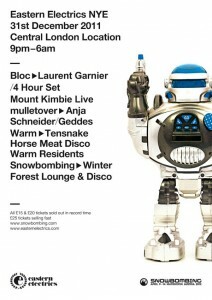 As if Laurent Garnier and Anja Schneider weren’t enough to tempt partygoers to flock to Eastern Electrics NYE 2011 they’ve announced Mount Kimbie will be performing live too! In the second room, playing to thousands of clubbers giving 2011 a fond farewell, will be Tensnake, Horse Meat Disco, Geddes and the Warm Residents, who are celebrating 12 years on the London scene. Expect generous helpings of house, funk and disco at this one. 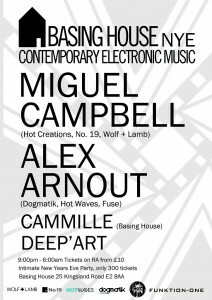 Barely bigger than your mate’s NYE party round the corner, Basing House in Shoreditch is a 300 capacity club that will no doubt be packed to the rafters with clubbers looking to enjoy celebratory sets from Miguel Campbell, Alex Arnout, Cammille and Deep’art. Miguel Campbell and Alex Arnout are two masterful house DJs with 3 decades collective experience in crafting feel-good vibes. These two headliners will be joined at Basing House’s first NYE party since it’s major refurbishment by resident DJ Cammille and Deep’art. Tickets are £25.00 and already limited in numbers so get them quick. Looking out over London from the 31st floor of the Centre Point building, Wiggle will be bringing you 5 fantastic DJ’s at its 2011 New Year’s Eve party along with almost ten hours of time to celebrate 2011 and say hello to 2012 (9.30pm-7am). 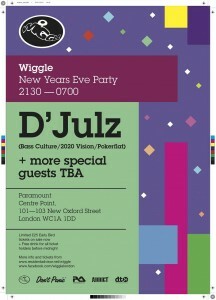 Headlining Wiggle NYE 2011 will be D’Julz who will be joined by Arnaud Le Texier, Terry Francis, Nathan Coles and Claire Ripley. And don’t forget, whilst these 5 electronic music maestros deliver their not-to-be-missed sets on New Year’s Eve, you’ll also have a priceless vantage point for enjoying London’s famous fireworks display. Tickets are £35.00 and include a free drink before midnight. For a third year running Slide & Get Diverted are taking over Brixton Clubhouse for their annual New Year’s Eve celebration with regular NYE DJ, the disco and edit legend Greg Wilson. 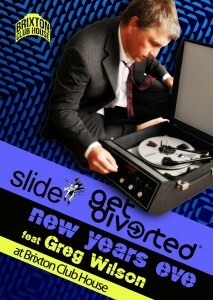 Greg will be playing a midnight set, upgrading to the main club space for 2011. Joining him will be the likes of Alexis Raphael, Archie Hamilton, Rob Alldritt, Eliijah Collins, Dan Holmes and Lloyd Wakeman. In Room 2 Samantha Blackburn, Rich Smith, Lewis James, KT Lucas and Tom Drew will be around to get you through until 6am. There’s also a Silent Disco on the Heated Terrace from midnight. The first headliner and arguably one of the world’s major new electronic music talents is Ilario Alicante. At just 22 he has already made a major impact on the club scene in his home country of Italy as well as Portugal, Germany and the UK. 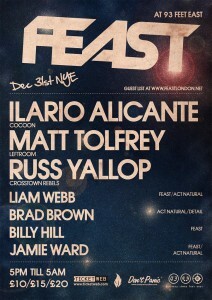 Joining Ilario is Matt Tolfrey and Russ Yallop along with Liam Webb, Brad Brown, Billy Hill and Jamie Ward to not only fill the half-day musical marathon but also fill the 93 Feet East dancefloor too. 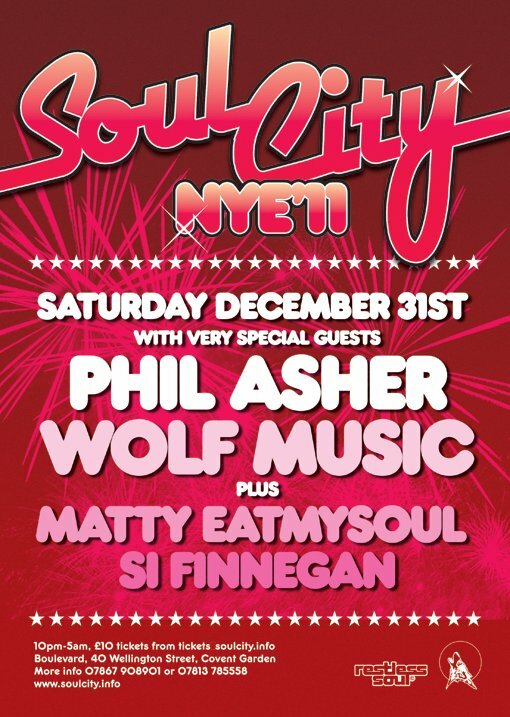 Returning for one night only to where it all began in the Boulevard Basement, Covent Garden, Soul City NYE party will be headlined by dance music and DJ legend Phil Asher. 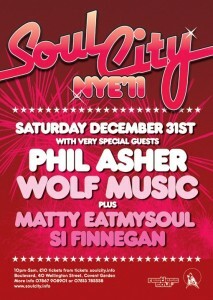 Joining Phil are Wolf Music residents Stu Clark and Matt Neale who have featured at Soul City several times in the past. Alongside Wolf Music will be two other resident DJs Matty Archer and Si Finnegan who also have a long-standing Soul City tradition. With value-for-money in mind tickets are priced at just £15.00. Having opened less than three months ago after a whopping £1million refurbishment Electric Brixton is more than equipped to deliver a New Year’s Eve party to remember. A truly exciting and varied lineup will feature across both rooms of the new-look 1700 capacity with Joker headlining the Main Room and R1 Ryders in Room 2. Following his recent debut album release ‘The Vision’, Joker will be looking to cement his place as one of the UK’s most promising dubstep and DJ talents. Joining him in the Main Room will be Breakage, Roska, Jamie George, Plastician, Sigma, Delta Heavy, Pete Jordan, Baratone with visuals by Blend. Room 2 will see Soundproof, Flore, James D’Ley, Cubit and Nari join R1 Ryders for this year’s Spectrum NYE Party. 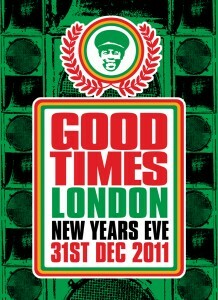 Cargo in the heart of Shoreditch always promises to be a memorable night and with this years NYE lineup it won’t disappoint in giving 2011 a massive send off and 2012 a warm welcome. Body rocking house music will be the dish of the day come December 31st as ex-Space resident Paul Woolford, Classic Recordings co-founder Luke Solomon and South-African Circo Loco regular Shane Watcha will take to the decks. Luckily New Year’s Eve falls on a Saturday this year leaving Sunday to recover and relax from an NYE all-nighter, which is certainly what Fabric have in store for you this year, a 12 hour 9pm-9am goliath all-nighter! 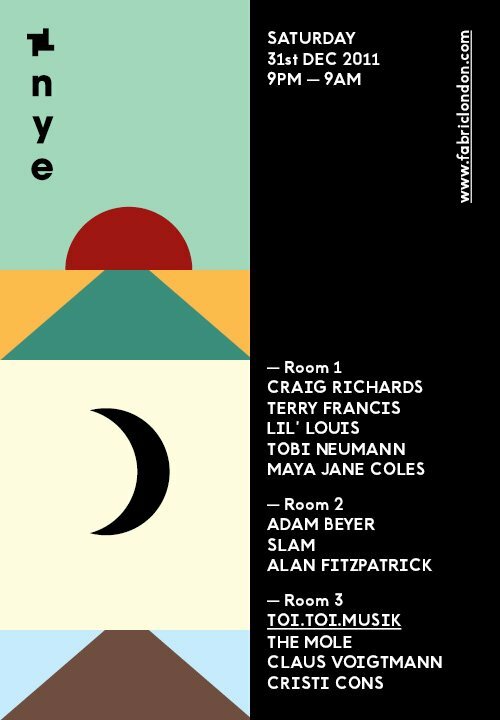 Craig Richards and Terry Francis are to be joined by Lil’ Louis, Tobi Neumann and Maya Jane Coles in Room one whilst Adam Beyer, Slam and Alan Fitzpatrick head up Room two. Toi Toi Musik featuring The Mole, Claus Voigtmann and Cristi Cons complete the lineup in Room three. 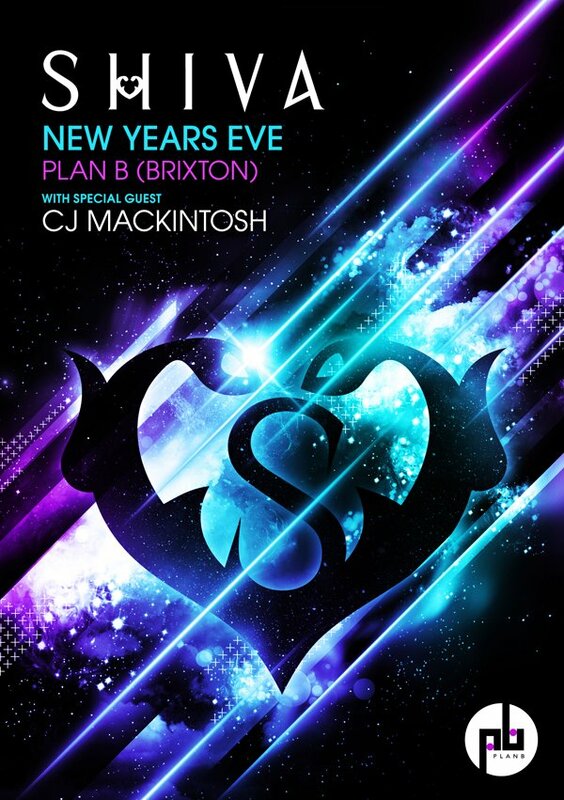 Another of the NYE big-hitters each year is Ministry of Sound and the Gaunt Street club has pulled out all the stops for it’s 2011/12 celebration aptly naming it ‘Size Matters’. 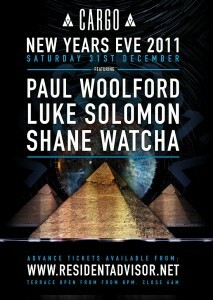 Everything from house, funk, techno, drum & bass and dubstep will be on the menu at Ministry of Sound this New Year’s Eve. An21 & Max Vangelli take the coveted headline spot in the Box with support from Michael Woods, Kim Fai and Third Party. 103 will see titans of the electronica and dubstep worlds take to the decks as Krafty Kuts and Boy 8 Bit make up the bill along with Joe and Will Ask and We’re Not Cool! 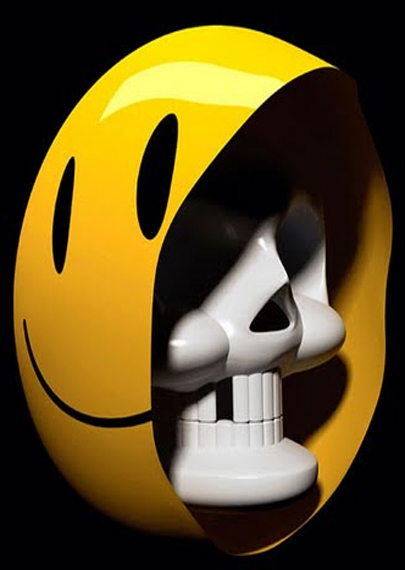 The Loft will be hosted by Freaky Electronique with sets from Trent Gently, C. Randall, DirtyDice, Junior is Dead, HORATIObLOOD and some special guests TBC. Tickets are £35 in advance, more on the door. Sheffield’s Toddla T headlines The Nest, an intimate basement club venue in the depths of Dalston, North London. Joining him in celebrating the New Year will be Mosca, Mistamen, Tom Lea and Stripes. 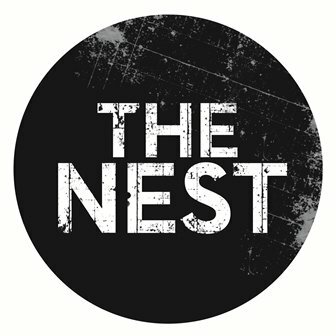 All of the bill playing The Nest this year have grassroots influences in dance, hip hop, dancehall and grime so will blend perfectly from set to set towards the club’s 5am close. 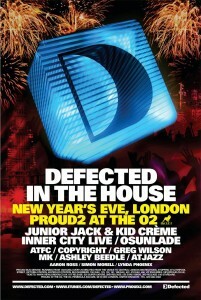 Taking over the gargantuan Proud2 this New Year’s Eve is Defected in the House with a lineup of some of the most exciting house DJ’s in the business and a must-see live headliner. Inner City (Live) will be joined by Junior Jack & Kid Crème, ATFC, Copyright and Lynda Phoenix take on the main room promising to deliver unmissable house sets. 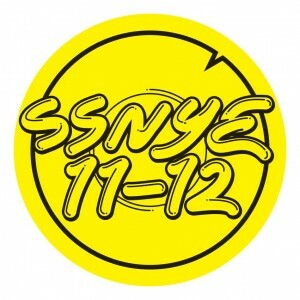 Osunlade, Atjazz and Aaron Ross will head up room two of the venue adding a few techno and soul flavours to the pedigree lineup at the 2011 Defected in the House NYE celebration. The third and final room is being dubbed as ‘digital disco’ as Greg Wilson, Ashley Beedle and Simon Morell complete the lineup. Tickets are £25-£45 and are available here. Making their debut at Brixton’s most talked about venues, Plan B, Shiva will be making New Year’s Eve go off with a bang. Headlining the celebrations will be CJ Mackintosh, a DJ and producer with decades of influence on British clubland and a CV that includes work with everyone from De La Soul to Whitney Houston. Joining CJ is a vast array of established and emerging talent in house and dance including Liam D, Muzz Khan, Fernando Bros, Immaculate Boys, David Brady, Ata x 2, Huckleberry Finn, Steve Feelgood, Steve Stritton and Rickstaa. 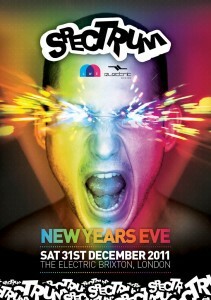 Choice will be understatement at this years Shiva NYE party at Plan B. Early bird: Sold out / Tickets are £20 general admission. 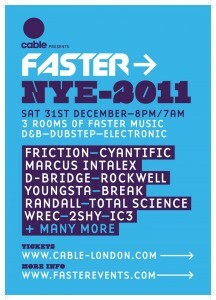 Three rooms of drum & bass, garage and grime await partygoers at this year’s Faster NYE at the London Bridge club Cable. As longstanding heavyweights in holding the biggest and best D&B parties, Faster have secured an exhaustive lineup to fill all three rooms this NYE with top talent. Room one: Friction, Cyantific, Rockwell, Youngsta, Randall, Wilkinson, Spectrasoul, Basher. Room two: Marcus Intalex, D-Bridge, Break, Total Science, Ulterior Motive, Bailey. Hosts: Wrec, 2 Shy, IC3, Lwqui, DRS, AD, Code:Breaker. Offering up plenty of party music at this year’s XOYO New Year’s Eve gathering are a collection of house and disco DJ’s that promise to deliver an eclectic mix of music into the early hours. Bugged Out!’s lineup includes The 2 Bears – Joe Goddard (Hot Chip) and Raf Daddy, who will be at the helm of the XOYO ship for the evening, who will be joined by L-Vis 1990, Nathan Detroit, Disco Bloodbath and The Legendary Children. 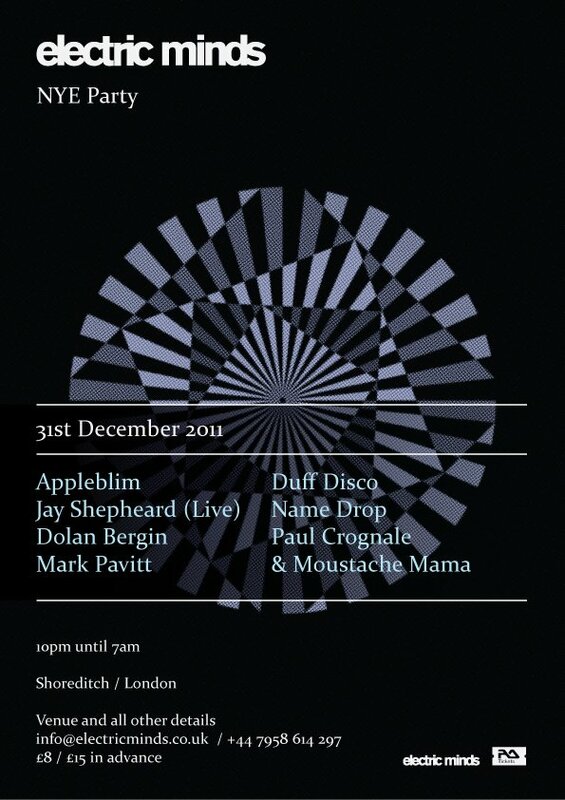 Electric Minds NYE Party w/ Appleblim, Jay Shepeard & Duff Disco. Here’s what we do know; Electric Minds has a New Years Eve party somewhere in East London, the lineup is impressive and the tickets are cheap. 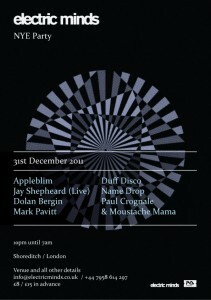 Appleblim, Jay Shepeard (live), Dolan Bergin, Mark Pavitt, Duff Disco, Name Drop, Paul Crognale and Helen Moustache Mamas will be providing the sounds to give 2011 a big send-off and 2012 a warm welcome. 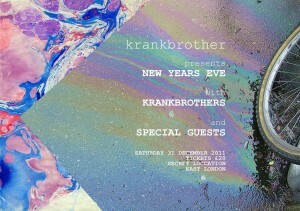 Keeping everything under wraps for now, Krankbrother promise a special and intimate studio somewhere in the heart of Shoreditch in which great music and great atmosphere will be on hand to toast 2011 and see in 2012. London’s much loved electro, techno, and all round electronic assault Wang steps in to provide some old school action this December 31st. On the night you can find Simian Mobile Disco DJing, along with Andrew Weatherall, who will be playing a techno set, and Keith Tenniswood- AKA Radioactiveman. 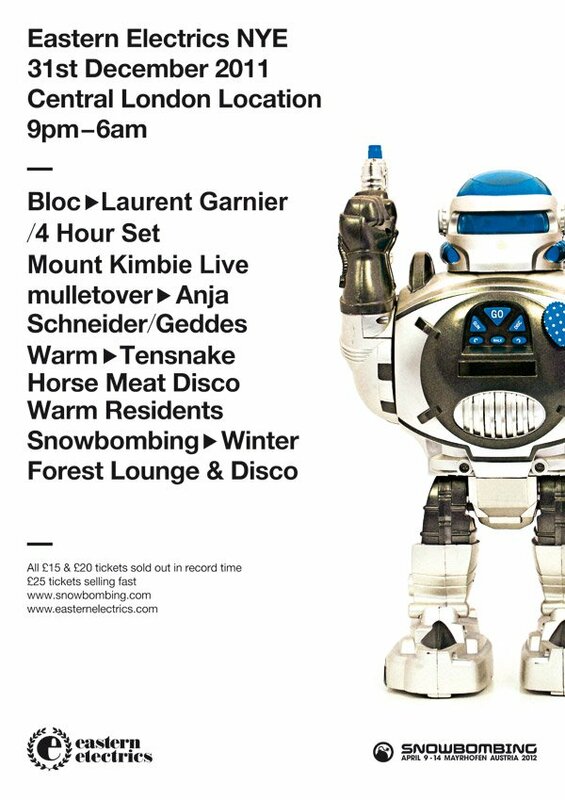 On top of those names attendees will also catch ex-Altern8 man Mark Archer, and residents Electro Elvis, Ben Wyford, and Lula, all of which sounds great. Tickets are priced at £22.50, and are available by clicking here.